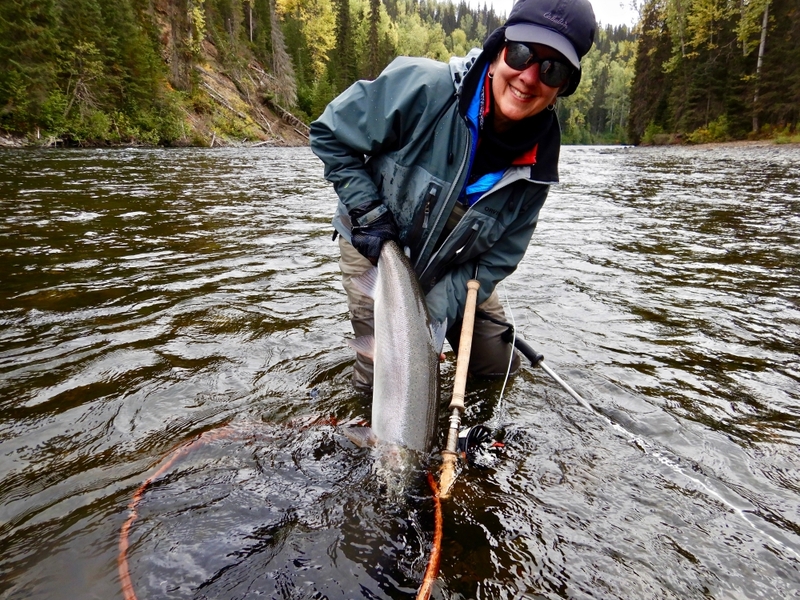 This has been an extraordinary season for steelhead on the Babine River in British Columbia. I was fortunate to spend Week 3 of the eight-week season at the Babine Steelhead Lodge (babinesteelheadlodge.com) and share in that experience. 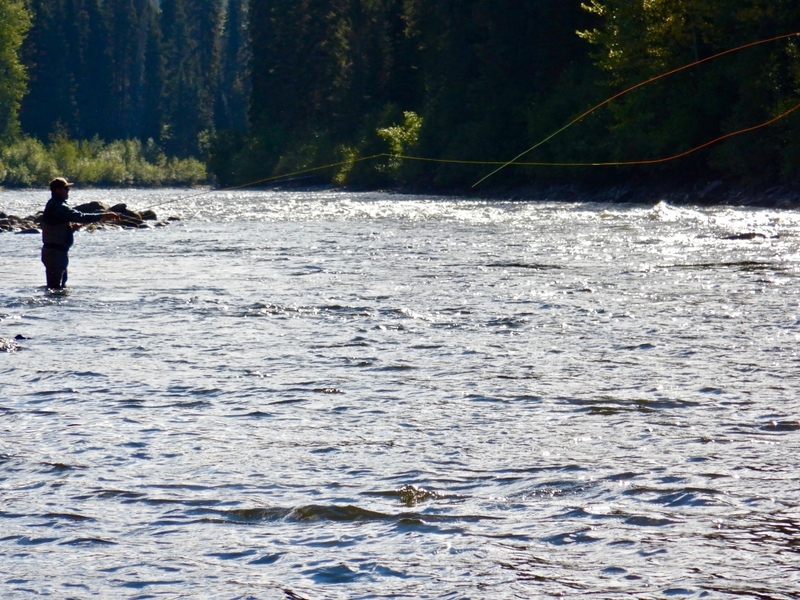 The Babine River, about 60 miles long, drains Babine Lake and is a tributary of the Skeena River. 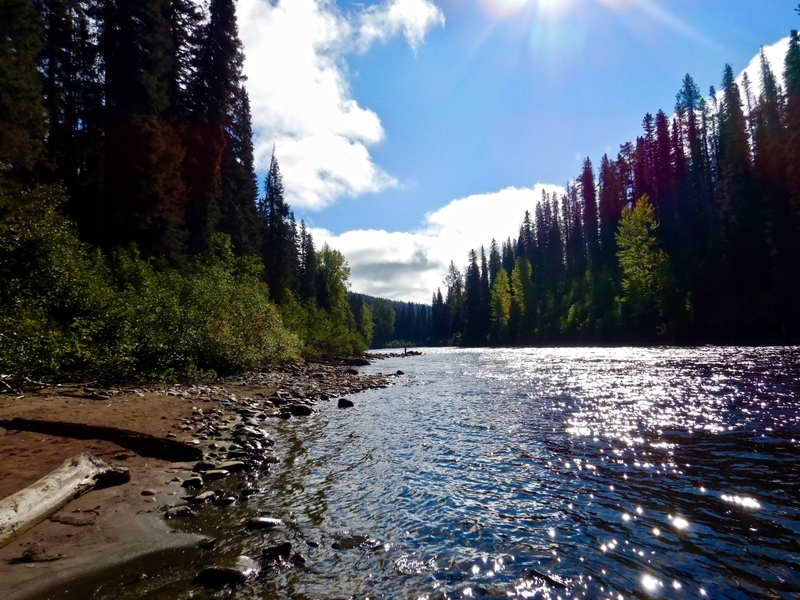 Most of its length is within the Babine River Corridor Provincial Park. There are several lodges along its length, and it is also possible to DYI drift and camp the river. 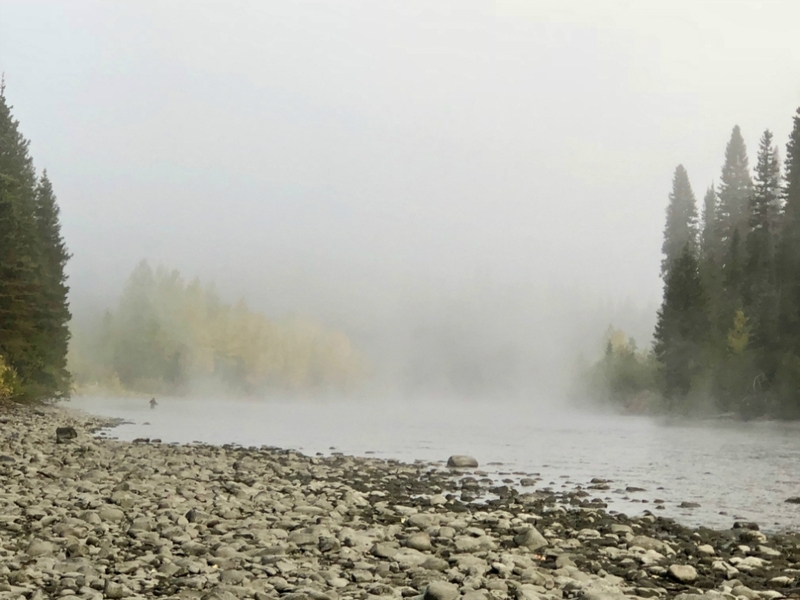 The Babine River is home to beautiful, wild steelhead, salmon, and the bears that eat them. There are no roads here. Guests arrive at the Babine Steelhead Lodge via a spectacular helicopter ride from the town of Smithers. Downtown Smithers has a surprising number of good restaurants, a wide choice of lodging, and the well-stocked Oscar’s Fly and Tackle Shop (oscarssports.com) for any last minute needs. The Babine Steelhead Lodge is but steps from the river and the amazingly productive “Home Pool.” Some guests waste no time by arriving already wadered up in the helicopter and head directly into the water the first afternoon. The Home Pool run can easily accommodate eight anglers with water for skating flies and fishing tips. More ambitious anglers can hike up to the next run. 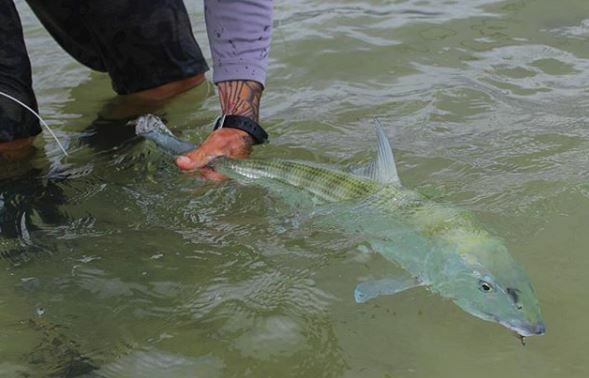 This is an “unguided” day, so anglers are on their own. Within an hour I had my first fish on a reverse marabou streamer and a “5 and 5” MOW tip, along with the challenge of landing a hot fish on my own. 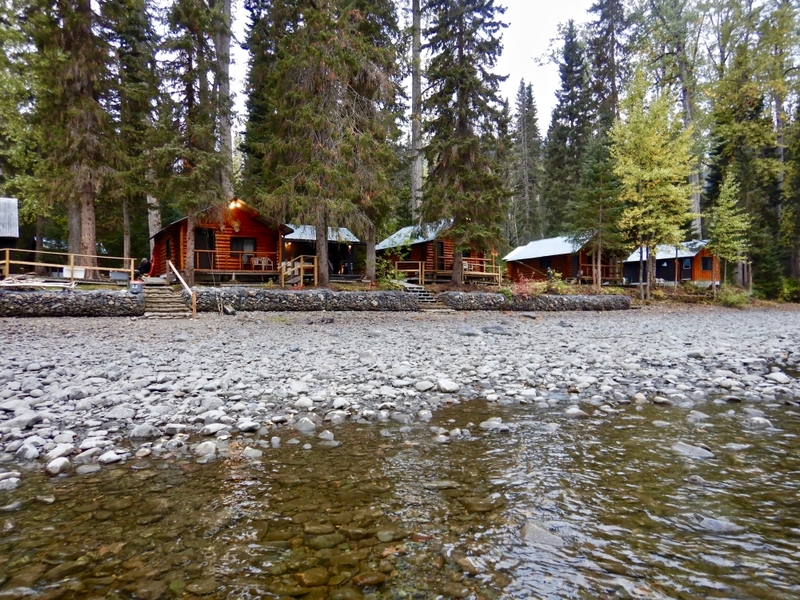 The Lodge consists of four cabins and a main dining building, along with accommodations for staff and guides. The cabins were comfortable, squeaky clean, with indoor plumbing, hot showers, and excellent heaters. The Lodge staff were cheerful and efficient, offering excellent meals and hospitality. Power is provided by a generator that is turned off at night, leaving the camp very dark and quiet, with only the sounds of the river. Host Tom Derry personally delivers coffee or tea to each cabin at 6:30 AM to get guests up for the morning. 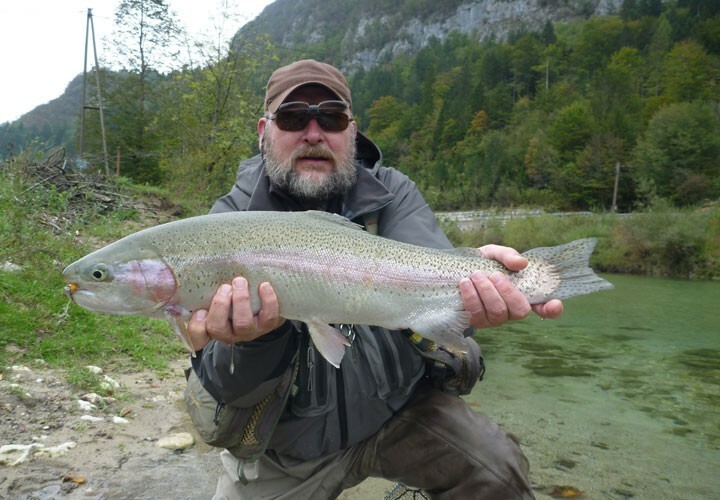 The fishing day begins at 8 AM, two guests to a guide, eight guests rotating through four beats of the river. 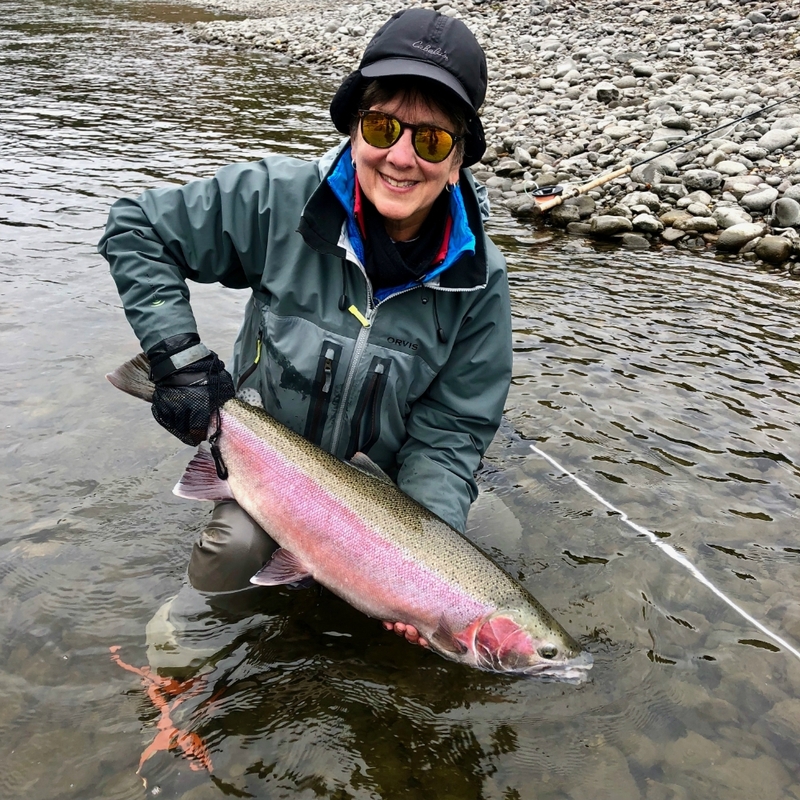 The Babine Steelhead Lodge and nearby Babine Norlakes Lodge have a very civilized agreement on which runs each lodge fishes before noon, with afternoons free to fish any water. Indeed, guides passing in boats never failed to wave and were very respectful about anglers in the water. The runs themselves are all named, although the names have changed over the years, and sometimes different lodges have different names. It took me a couple of days to catch on, but soon I could name and identify Laura’s Pool, Green Rocks, Grizzly, Joe’s Chute, Babine Special, Twin Flats, Penalty Box, Lobo, and so on. With Home Pool right in front of the lodge it was possible to fish every daylight moment, before leaving for the assigned beat of the day, and after returning from the day’s fishing. interactions with such beautiful fish. And encounters we certainly had. The fish were mostly in the 30 – 35 inch range, averaging about 15 lbs. Most runs were fished first with skated flies, often rigged with a riffle hitch, and then with a wet fly or a streamer on a tip. A couple days were slow, with perhaps just one encounter per angler, but other days were very productive, with five or more fish per angler. 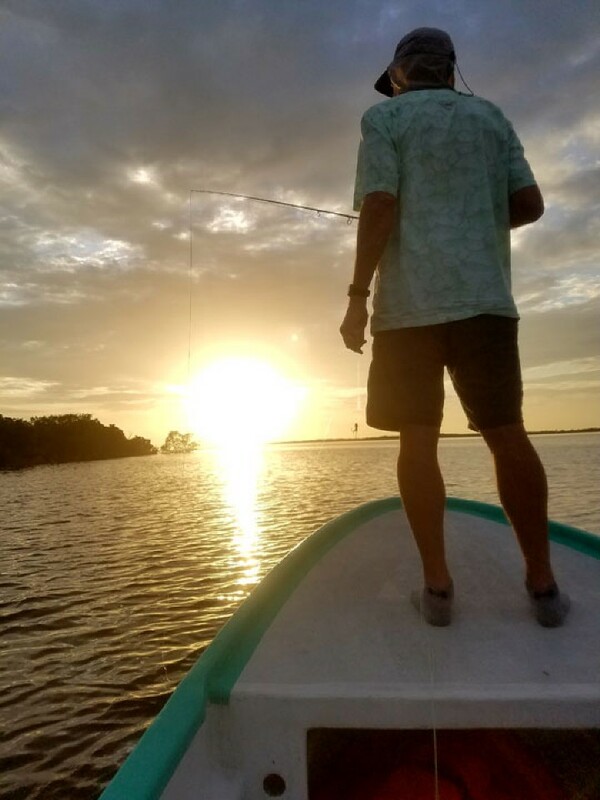 My boat partner and I had double hook up one exciting day, made more exciting because we had to chase my fish down with the boat. The weather was decent steelhead weather, with a bit of everything, from frosty mornings to drizzle to the occasional spot of sun. British Columbia has been in a serious drought this year, made evident by the very low river water level that continued to drop over the week. The brutal fire season has left a few fires still burning in the mountains and a constant slight smokiness in the air. The river bottom was exceptionally slippery this year. My rubber soles with studs were just not enough, but strap-on Patagonia aluminum bars helped. Most guides and guests worn felt soles, with studs or bars for added traction. Felt soles are still legal in B.C. While the wading was mostly straightforward, some scrambling was occasionally required. I tore my waders climbing over a fallen tree. Creative patching was required, with everyone offering an opinion on how to do it. I was grateful for the excuse to not wade so deep the rest of the week, lest the repair not hold up. Yes, there are bears there. We saw fresh footprints most days, with an occasional sighting. The first evening at our orientation we were given bear spray and bear bangers to carry on the river. This is not a place to take bear encounters lightly. The lodges on the river have rich and colorful histories. Bob Wickwire’s Babine Bob’s Pioneering Fishing Adventures: From the Last Resort to the Silver Hilton Steelhead Lodge is rife with amazing photos, fishing stories and accounts of how and why the lodges were built. Lastly, what to do to conserve this incredible resource? 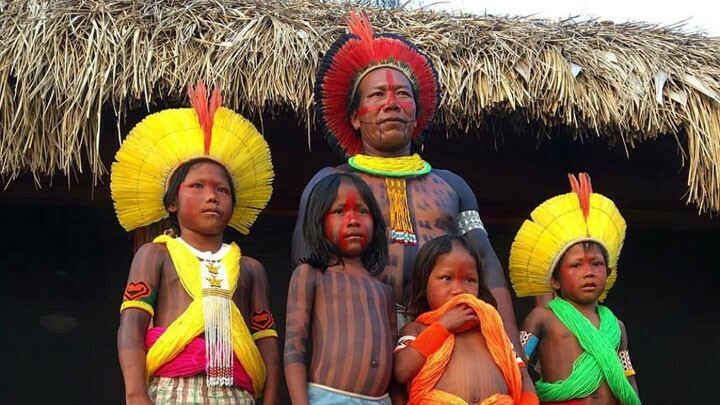 Conflicting interests on these rivers are no secret. The current practice of netting sockeye salmon is catastrophic for steelhead moving up these rivers. As anglers, we did our best to make our encounters with wild steelhead with as little impact as possible. It is simply heart breaking to think of these fish being killed as a by-product of harvesting sockeye. Concerned individuals can obtain more information from the Native Fish Society (nativefishsociety.org), an organization devoted to recovery of wild, native fish and stewardship of the habitats that sustain them.